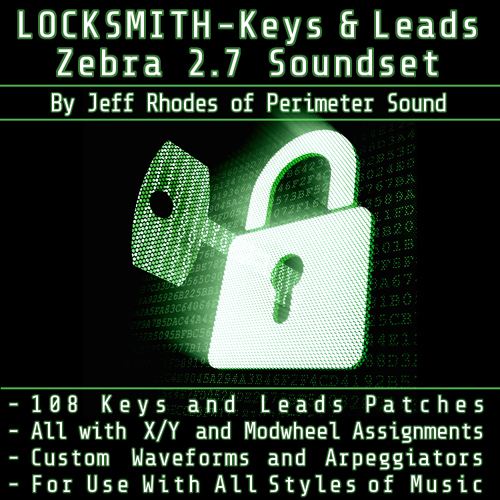 The 'Locksmith : Keys & Leads Zebra Patches Collection' features 266 presets for the U-he Zebra software synthesizer including keys, leads and bonus bass and synth sounds. Plus arp variations of all patches, along with all 4 X/Y Pads and Modwheel controller assignments. Credits and thanks go to Torben Hansen, Bill Davies and Ed Ten Eyck for the demo tracks.